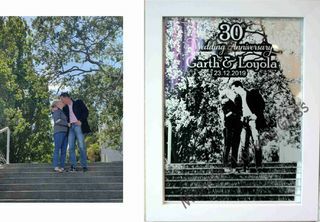 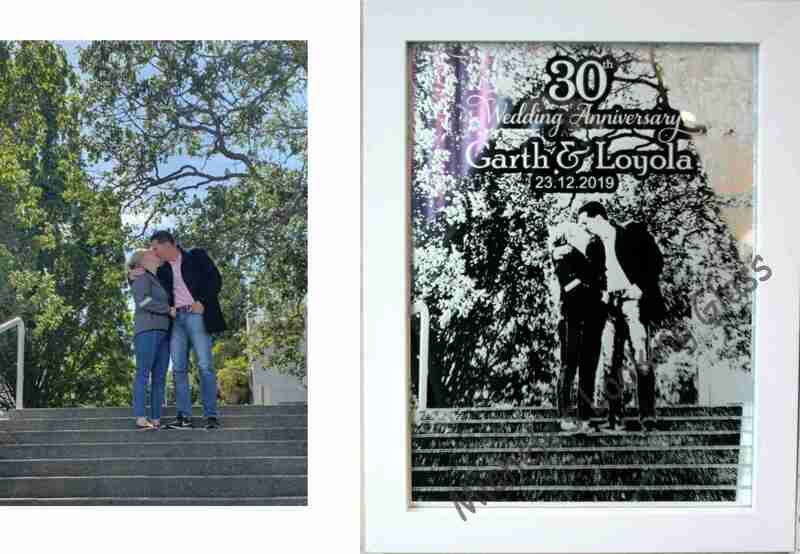 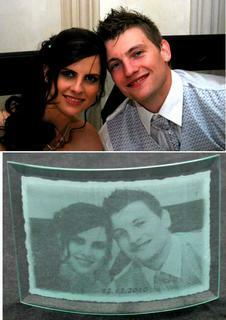 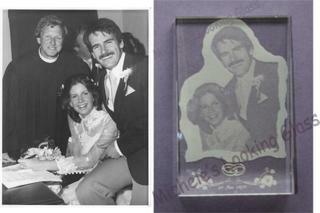 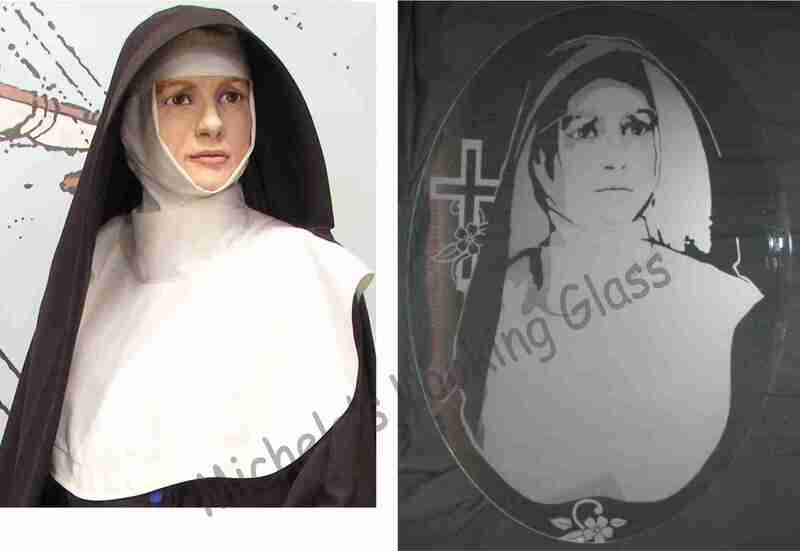 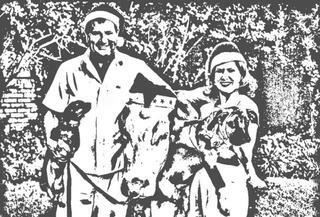 Etched glass images, using the method of sandblasting, gives a permanent finish. 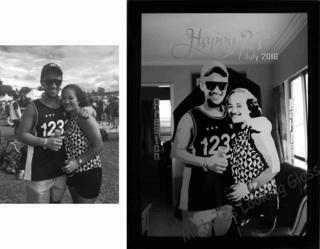 This will withstand the rigours of time. 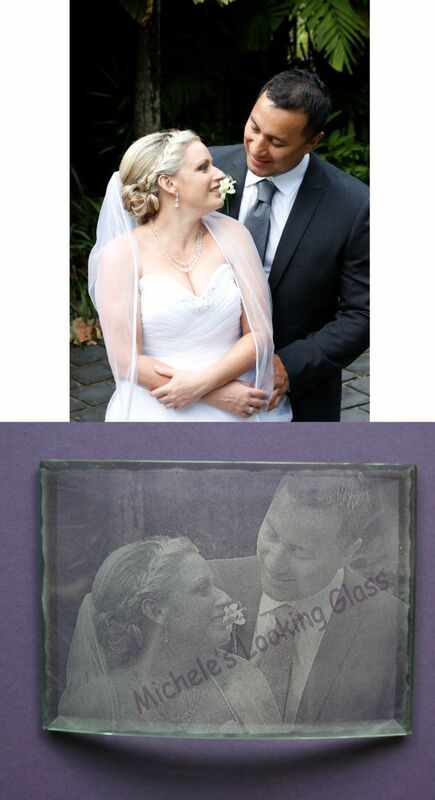 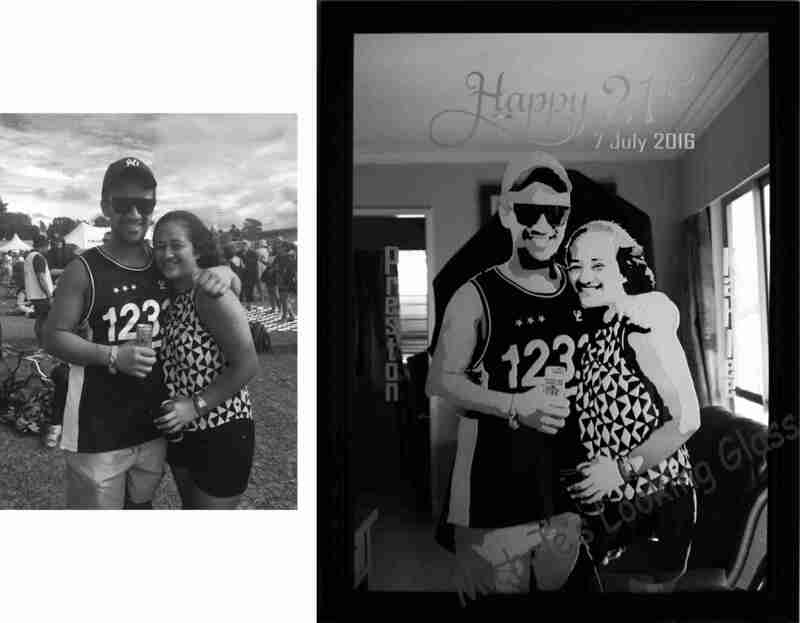 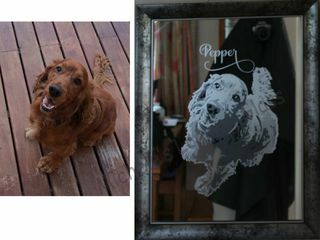 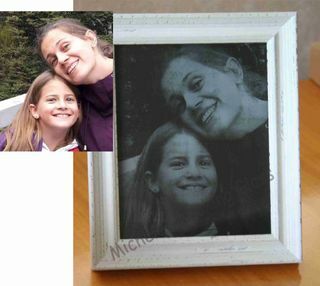 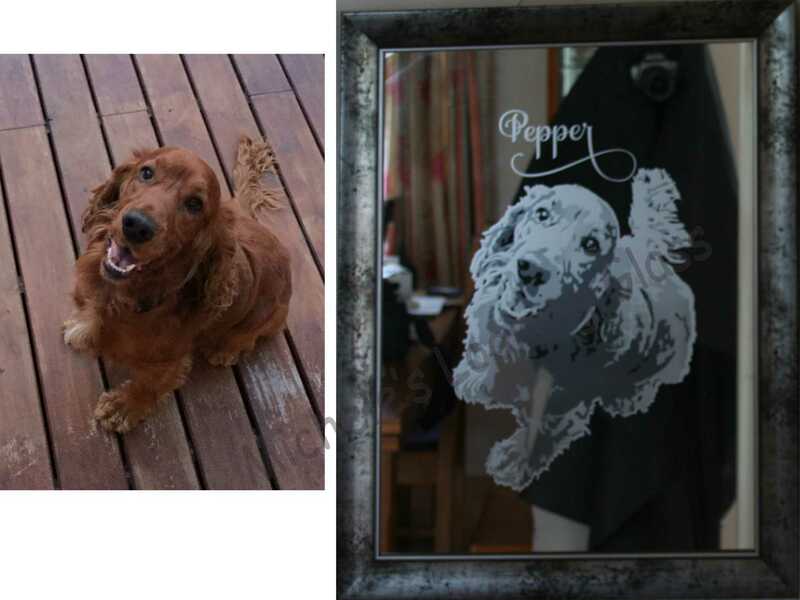 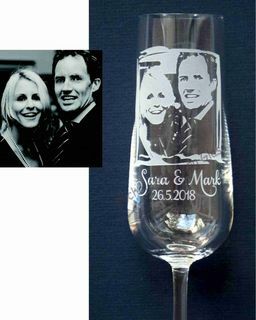 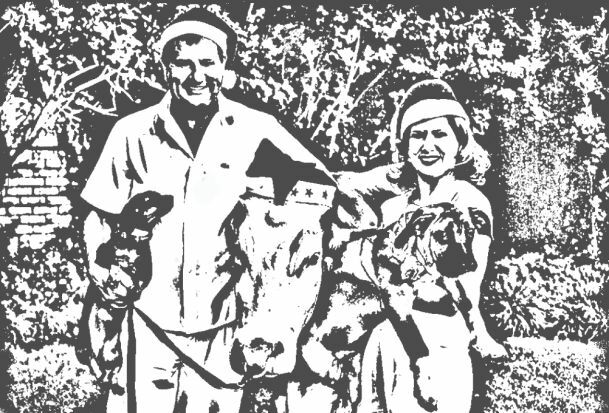 For a lasting, unique memory and art piece, consider having a photo of a special person or animal etched onto either a mirror or piece of glass. 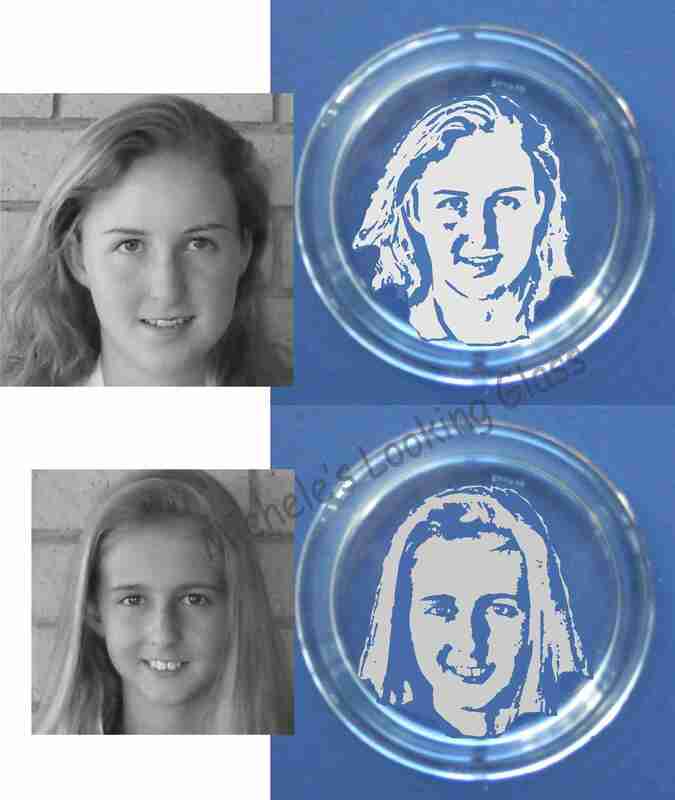 Michele can supply you with the mirror as well as the glass. 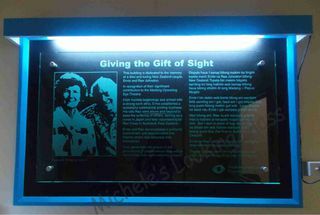 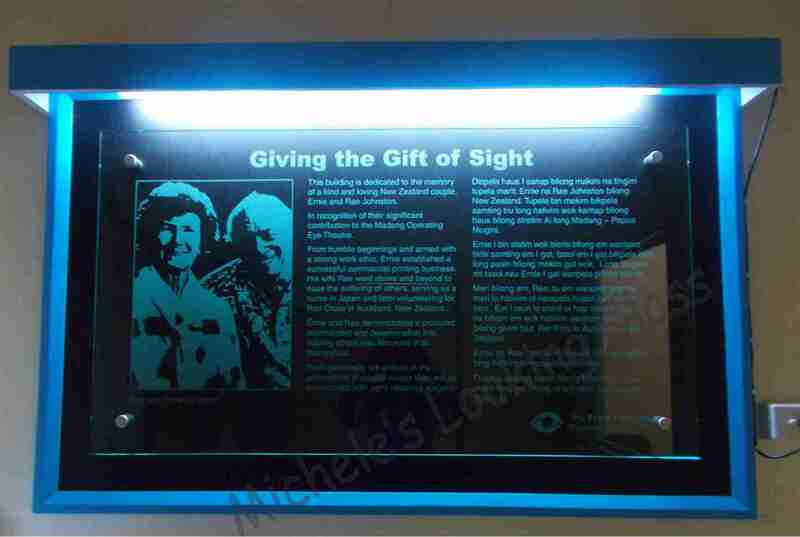 She also has a wide selection of frames to choose from. Email your image and discuss your requirements with Michele, so that together you could create an exclusive piece.